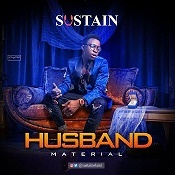 Sulcata Entertainment is a brand identified with the Youth – The Young and Free, the Enthusiasts, The Explorers, The Leaders, The ones who want to be heard, and with a daily increasing network of followers joining the Sulcata social family, it has become dearly important for us to engage in a close andactive rapport that represents the brand, and help us interact with all our followers in a fun and impactful way. that calls them out for fun, learning, and interaction. and add value to ourselves and by extension, the society. 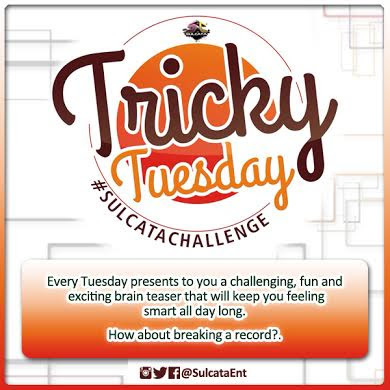 #TrickyTuesday – This thread every Tuesday draws out the intelligent ones amongst us as we share fun and exciting brain teasers for #Sulcatarians to crack. Tricky indeed! 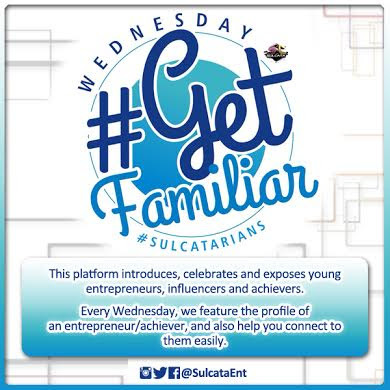 #GetFamiliar – On this platform every Wednesday, we introduce and celebrate young Entrepreneurs by featuring their profile so as to help others learn and connect to them easily. 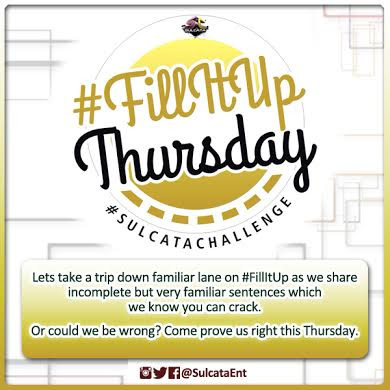 #FillItUp - This is a fun and exciting thread. Here we share incomplete but familiar sentences every Thursday that #Sulcatarians will definitely find easy cracking and be excited about. Plus it is just before the weekend, so it is another way to chill. 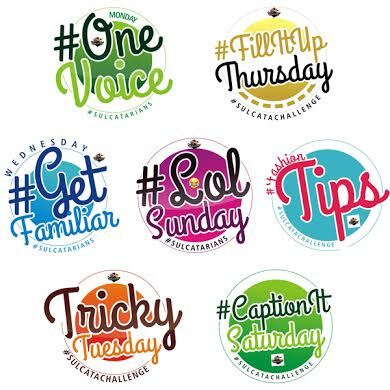 #FashionTips – Very resourceful is our Friday threads on Fashion tips. 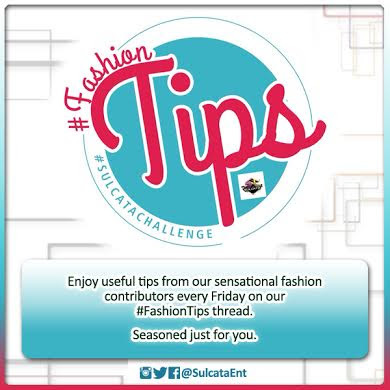 It is the weekend and we know the buzz that come with it, so we help our #Sulcatarians have the edge as we share useful and handy fashion tips, from our sensational fashion designers, that can make them pop through the weekend and even beyond. 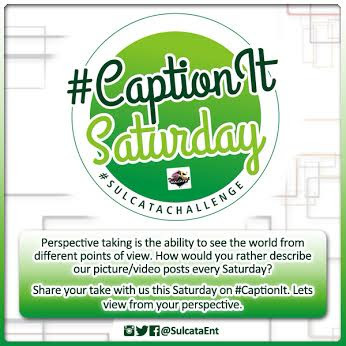 #CaptionIt – On Caption It every Saturday we enjoy the perspectives of #Sulcatarians by posting files and calling out for captions based on how best they perceive the posts. It is so much fun to see the world from other people’s point of view. #LolSunday – LolSunday is typically for Gags! 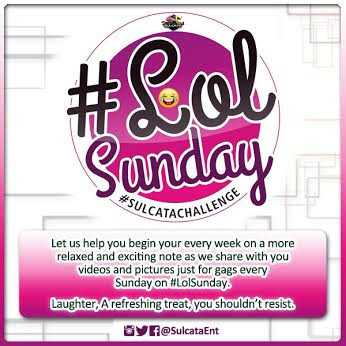 We share funny posts to give #Sulcatarians exciting and thrilling moments every Sunday. The Jokes are for real. No dull moments with us at anytime and definitely not on Lol Sunday. engagement meetings this year where we can share more and achieve more together. To be a #Sulcatarian you don’t need any formal process. 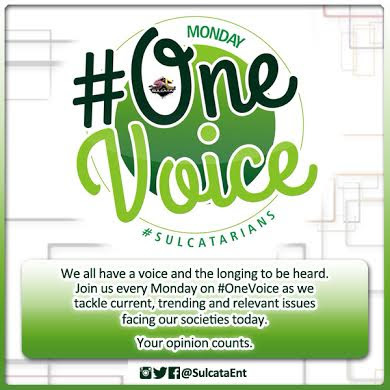 #Sulcatarians are people who believe in and support the #Sulcata brand and what we are out to achieve. You can be a part of us by connecting with us on our social media platforms (instagram, twitter, Youtube) @sulcataent and let’s share and create lasting memories together. Sulcatarians - Stay Young and Free!! !